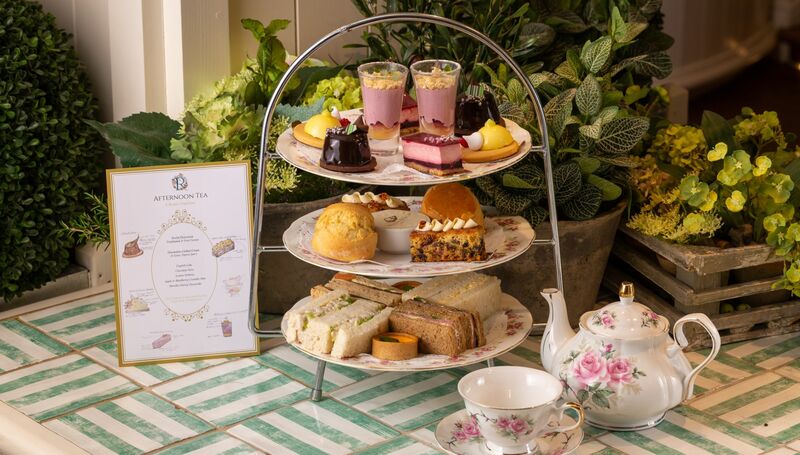 The ritual of Afternoon tea owes its origins to Anna Russell, 7th Duchess of Bedford. As a young woman in the early 1800s she lived during a time when it was common to eat only two meals a day. Routinely weakened by hunger pangs, she decided to schedule time to take tea and snack each afternoon. The private ceremony was firstly done furtively in her bedroom, but overtime well-heeled acquaintances joined her, and the practise was perpetuated. The Duchess was a lady-in-waiting and lifelong friend to Queen Victoria to whom she introduced the idea and in doing so gained an influential supporter. The trend gained popularity and it soon became a fashionable pastime of the Upper class. 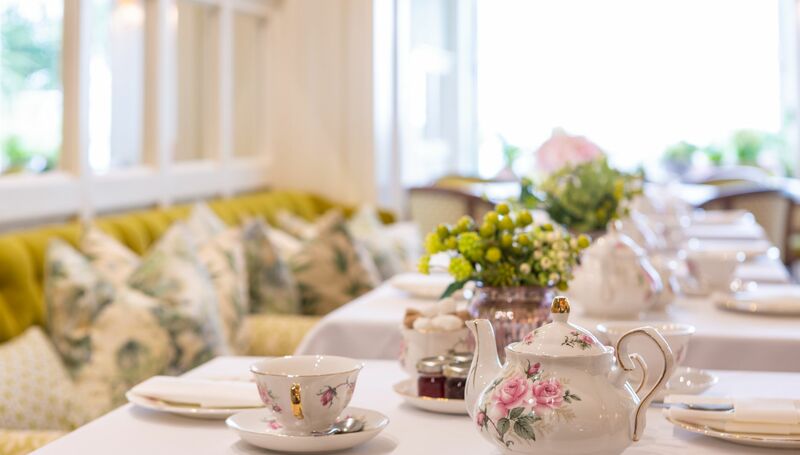 The Roslin Beach Hotel has become synonymous with this finest of British traditions. All beautifully presented on our aptly named ‘Duchess’ fine bone china, our mouth-watering exquisite finger sandwiches are light but satisfying. 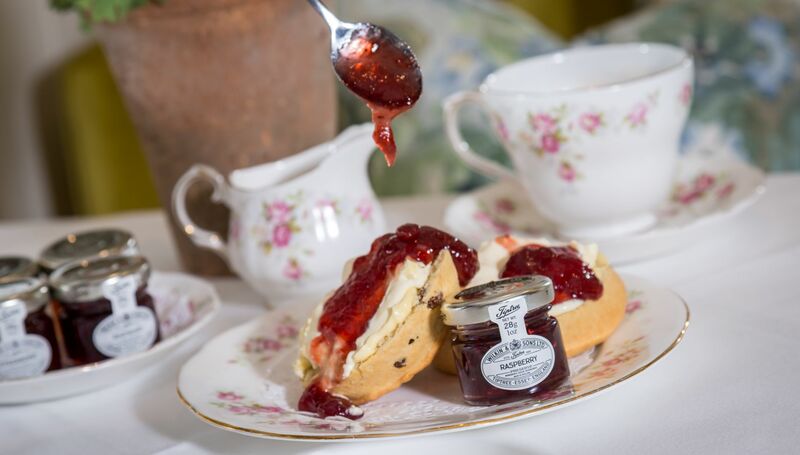 Accompanied by seasonal sumptuous cakes, pastries and freshly baked Scones complete with Devonshire clotted cream and Tiptree jams. 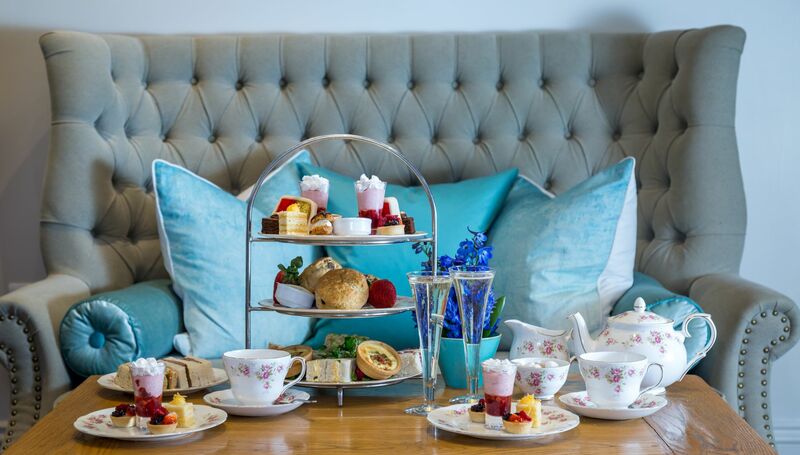 All served with an unlimited selection of fine teas or why not sip on a chilled glass of Champagne for extra sparkle? Too much for one sitting? – Take some home in one of our exquisitely designed cake boxes, a treat in itself. 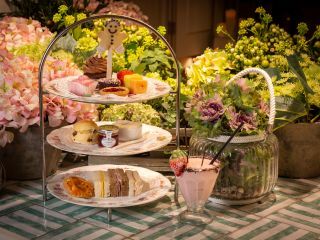 Children's Afternoon Tea is an addition to an Adults Afternoon Tea., charged at £12 per child. 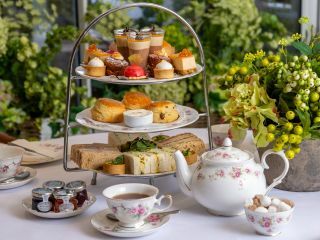 Please view the menus to see the prices for afternoon tea.